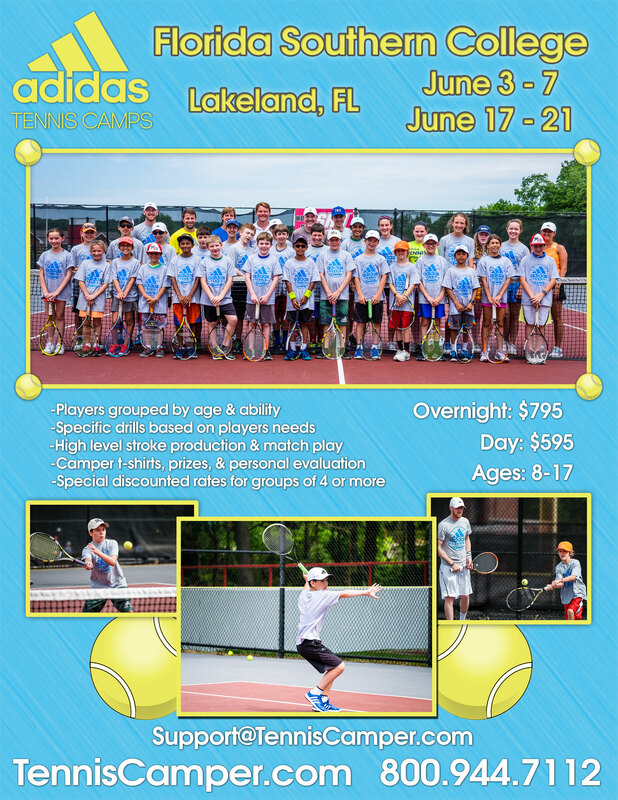 About an hour outside of Orlando, The adidas Tennis Camp at Florida Southern College is an ideal location for anyone looking to train, have fun, and get better at tennis in the summertime. 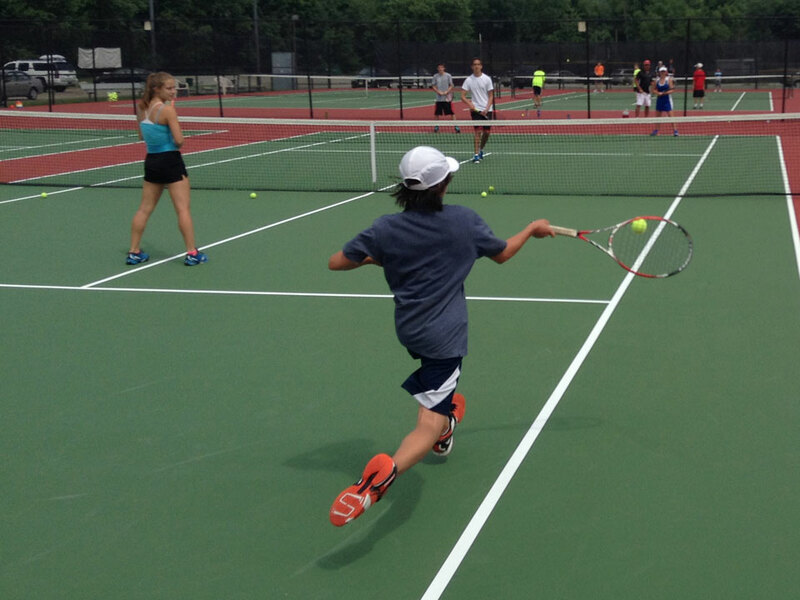 Campers will train on their beautiful 10 court complex that features grandstand seating for up to 400 fans. Check In: Check in for Overnight and Extended Day Campers is Sunday between 3:00pm – 5:00pm at the dorm building which will be announced closer to the start of camp. 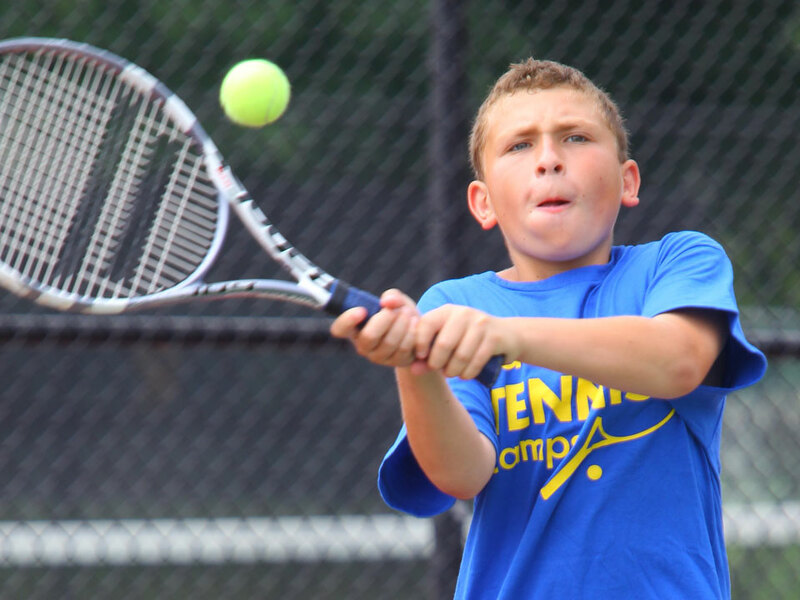 After the first day, Extended Day and Day Campers should arrive at 8:45am at the tennis courts. Greg Van Emburgh is in his first season as the head men’s tennis coach at Florida Southern College and brings more than a decade of Division I coaching experience to the Moccasins. 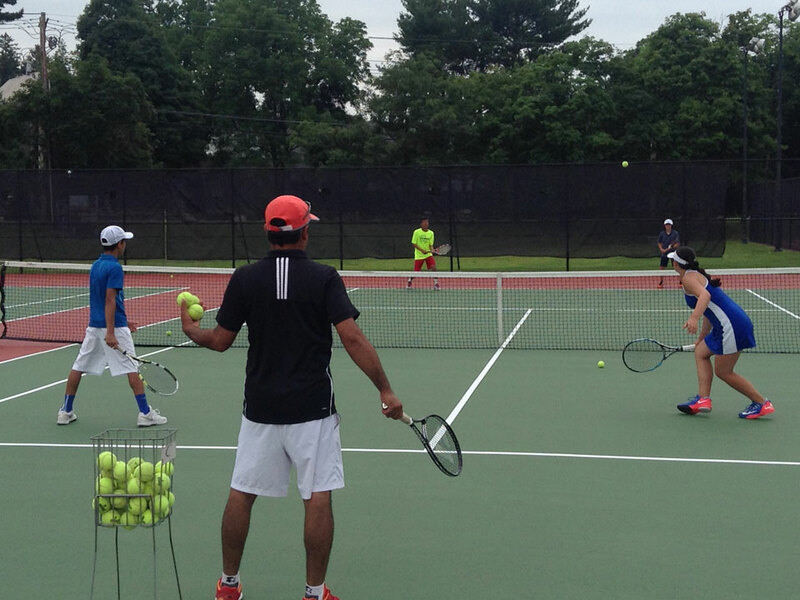 Van Emburgh came to Florida Southern after spending the past two years as the head tennis coach and trainer at nearby IMG Academy in Bradenton, where he had the opportunity to coach his sons. 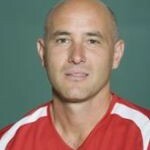 Prior to his stint at IMG Academy, Van Emburgh spent 10 years as the head men’s tennis coach at the University of Wisconsin. During his time with at Wisconsin, Van Emburgh led the Badgers to four-straight NCAA Tournament appearances, including a Sweet 16 appearances in 2010. He also helped Wisconsin achieve its highest national ranking in school history, reaching No. 19 in the country. 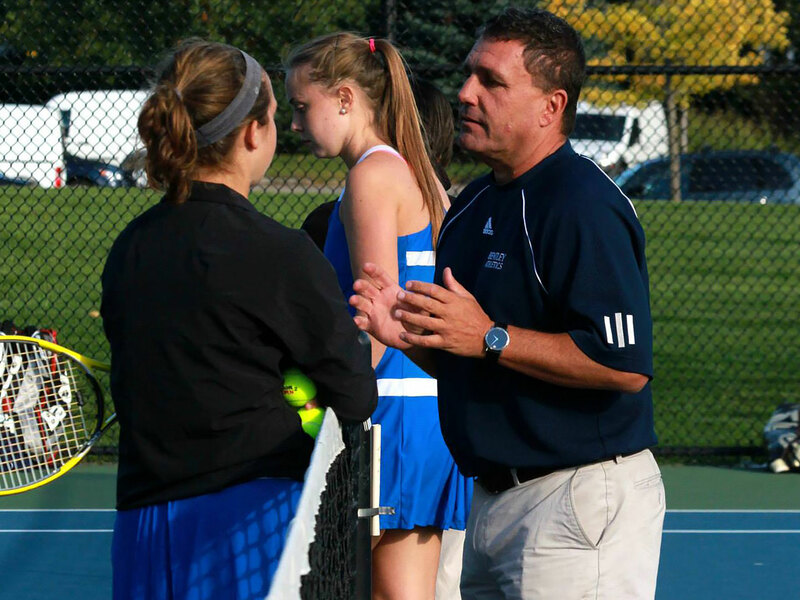 Van Emburgh coached 10 all-Big Ten selections, a Big Ten Freshman of the Year honoree, two singles players who qualified for the NCAA Tournament and four doubles players who earned NCAA Tournament bids. In 2010 the Badgers finished 21-9 overall, the second-best mark in school history. His teams also excelled in the classroom at Wisconsin, earning 23 Academic all-Big Ten honors, one CoSIDA Academic all-district award, and six ITA Scholar Athlete awards. Prior to his time at Wisconsin, Van Emburgh was the associate head coach at the University of Kentucky, helping the Wildcats to the Elite 8 of the NCAA Tournament and a top 15 finish in four consecutive years. One of Van Emburgh’s protégés, Jesse Witten, won five all-America honors during his career at Kentucky. Outside of the collegiate ranks, Van Emburgh served as the Director of Tennis at the Naples Bath & Tennis Club in Naples, FL for two years. Prior to that, he played professionally on the ATP Tour from 1989-1999; winning 10 ATP Tour doubles titles. In doubles play, he reached as high as No. 11 in the world in team rankings and was a 1990 semifinalist at Wimbledon. In doubles play, Van Emburgh’s highest individual world ranking was No. 28, and during his career, he picked up victories over tennis legends Pete Sampras, Boris Becker, Jimmy Connors, Ivan Lendl, and Patrick McEnroe. Van Emburgh finished his playing career with 38 appearances in Grand Slam events and was ranked among the ATP top 100 for 10-straight years. He won seven different ATP titles and appeared in seven other ATP finals. He played collegiately at Kentucky from 1985-88 and was UK’s first all-American, earning four all-America honors in in singles and doubles. He made an appearance in the NCAA Tournament singles quarterfinals and doubles semifinals and was a member of the US World University Team that won a bronze medal. In addition, Van Emburgh was a member of the USTA Junior Davis Cup squad, was an all-SEC team captain, and is a member of the Kentucky Tennis Hall of Fame. He graduated from Kentucky with a degree in sociology. A native of Mineola, NY, Van Emburgh and his wife, Tracey, have two sons, Jake and Jenson. Jake has signed to play collegiately at the University of Oklahoma and was ranked among the top five players in his age bracket since the age of 12. He is a former Wisconsin State singles champion. Jenson is one of the world’s top para table tennis players and is currently in the process of qualifying for the Paralympics.